* 1978 Blida, Algeria. Lives in Paris. 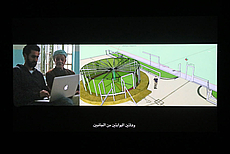 One of the four Special Mentions of Sharjah Biennial 14. Often created with photography or video, Mohamed Bourouissa's projects emerge from time spent in collaboration with the people and communities that inform his work. He is interested in systems of order, scientific classification and social conventions as well as instances of formal and informal organisation. For SB14, the artist presents a newly commissioned large-scale installation and series of workshops that activate a now disused kindergarten in Kalba. Blida-Joinville (2019) plots a physical and psychological exploration of society through consideration of architecture and rational thought. 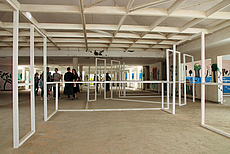 The artist brings into conversation two institutions and their histories by constructing a three-dimensional wooden structure based on the plan view of the Psychiatric Hospital Frantz Fanon in Blida, Algeria and imposing it on the existing structure of the Kalba kindergarten. 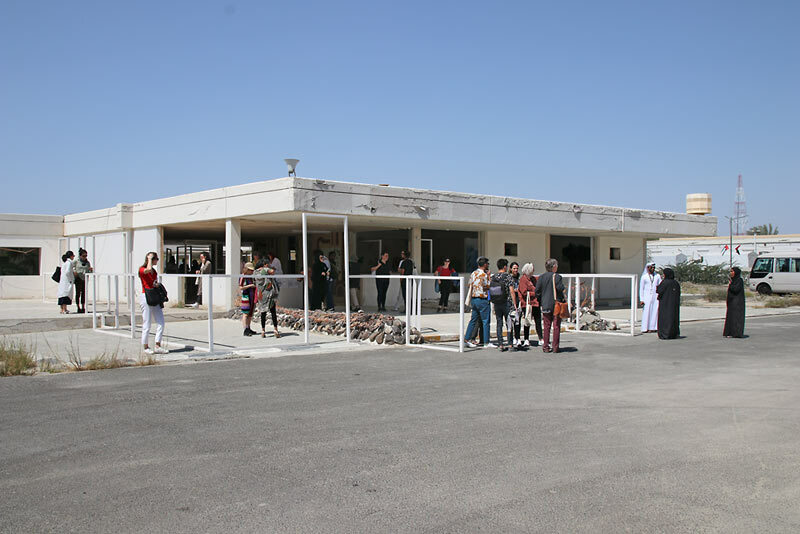 The hospital was built in the 1930s by French architects Garner et Petit, and the kindergarten was designed by Arab modernist architects George Rais and Jaafar Tukan and built between 1973 and 1975. 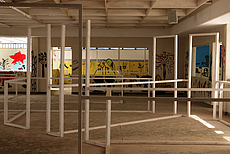 Bourouissa approaches the institutions of psychiatric hospital and school through philosopher Michel Foucault's concept of heterotopia, which is used to describe spaces that are somehow parallel but 'other' and tied to notions of utopia, either through modelling of an ideal space or the corralling of the unwanted to make that aspiration impossible. 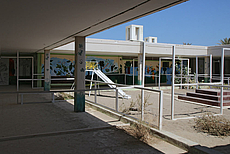 Plants in open-air spaces that are interspersed throughout the kindergarten recall the memory of Bourlem Mohamed, a patient of the Fanon hospital who developed a gardening method as a form of therapy. Bourouissa has also conceived of workshops for students from Kalba, inviting them to graffiti images of local plants onto the kindergarten walls, thereby transposing Mohamed's spirit and linking two institutions of care and instruction.